If you want to go into business for yourself, you may be thinking about purchasing a veterinary practice. This is a major step in your career, and it is not one that you should take lightly. At Reliance Consulting, LLC, we can help you assess a potential purchase. With a thorough investigation, you can determine whether that clinic would be a wise investment. If you decide to go through with the purchase, we can provide business loan assistance. We can also help with budgeting, tax planning, business plan development, and the other aspects of practice ownership. Buying a practice is a huge financial and mental investment. We will help you make a solid economic decision, and we will guide you as you structure your business for success. Contact us today for assistance with this important milestone. You will not need to invest in equipment or the various items needed to run a clinic. At the same time, however, you may have higher upfront costs. It may be easier to obtain loan approval. You will already have an existing clientele, as well as regular suppliers and service providers. However, when you purchase an older practice, you will be somewhat bound by the existing structure of the clinic. You will also have to work with someone else’s team, rather than handpicked employees. We will then provide an honest assessment about whether you should purchase the practice. We can also guide you as you negotiate a lower price. 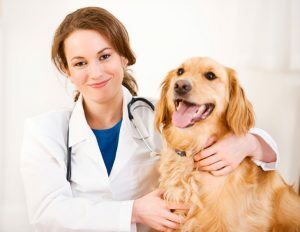 Franchises are less common in veterinary medicine than in other industries. Nevertheless, purchasing a franchise can still be a great option, especially if you are a first-time business owner. Franchises give you instant name recognition. In some cases, you may also receive financial assistance with the purchase. However, you may have to pay ongoing fees, including advertising fees and royalty payments. In addition, you will not have the same freedom that you would have if you owned a non-franchised practice. When purchasing a franchise, you should do the same research listed above. Examine the financial stability of the company. Consider their history, client satisfaction levels, and rankings with the Better Business Bureau. At Reliance Consulting, we can also help you with these investigations. Once you decide to buy a business, there are a number of factors that you must consider. First, you will need to obtain financing. We can explain the various types of lenders and small business loans. Then we can help you select the right type for your new practice. We can also assist you with all loan paperwork and any additional forms related to the purchase. These may include promissory notes, security agreements, leases, transfer documents, settlement sheets, non-compete agreements, and more. At Reliance Consulting, LLC, we have helped hundreds of professionals go into business for themselves. We understand the ins and outs of buying a practice. We also offer services specifically for veterinarians and can help you establish policies that will move your new business into the future. Buying a veterinary practice involves exhaustive research. Our consultants can take the stress and worry out of the process. Contact our firm for assistance with your purchase. We proudly serve clients from Tampa, St. Petersburg, Clearwater, Sarasota, Pasco, Lakeland, and the greater Tampa Bay area.